Once again, we're diving into some interesting snacks ... and stuff. First up is roasted chickpea snacks from The Good Bean. 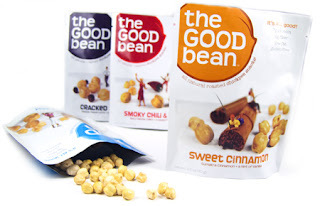 A while back I tried their no-nut bars, and said that the chickpeas tasted a lot like nuts. This was my chance to sample the chickpeas on their own. Solo, they tasted a little less like nuts, but they were still very snacky-good. Crisp, crunchy, munchy. The Cracked Pepper flavor was very aggressively black peppery. Really good, if you like pepper. It was a little bit much on its own for me, but in a bowl of mixed snacks that pepper added a great accent. 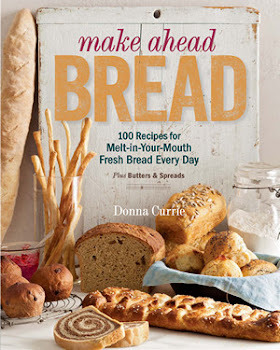 I'm thinking it would also make a great "crouton" on top of a salad. On the other side of the flavor range was Sweet Cinnamon. This was sweet, but not crazily so, and had a burst of cinnamon flavor. For some reason, it reminded me of apple pie. As usual, while I was eating them I was thinking of cooking applications. They'd be pretty good crushed and sprinkled on vanilla ice cream that's on top of pie. Or crumbled on top of grilled fruit. The other flavors are Smoky Chili & Lime and Sea Salt. I've stashed those for some cooking experiments. We'll see how that goes. 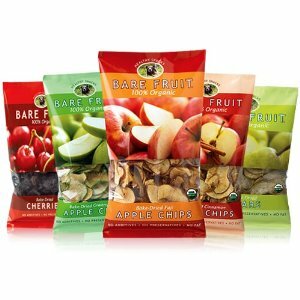 The next snack was Cinnamon Apple Chips from a company called Bare Fruit. They make six different dried fruit products including apples, mangoes, pears, and cherries. I ripped the bag open as soon as it arrived and we started apple-munching immediately. These apples are completely dried so they're crispy chips rather than leathery or prune-textured fruits. First, we at them as snacks, then as chips along with some pulled pork sandwiches. Next up, I'm thinking of adding them to baked goods. Or added to a peanut brittle. Or ... oh! How about in a stuffing? I haven't tried it yet, but I'm thinking that besides being a munchy snack food, these would be handy to have on hand when I want apple flavor in a dish and I don't happen to have any fresh apples hanging around. So many ideas, not enough time. As far as snacking, the thing about dried fruits like this is that the apple flavor is very concentrated. Very apple-y. So you're less likely to over-indulge as you might with a more styrofoam-like snack. Or at least that's how it works for me. I'm really curious about the cherries. I might have to seek those out and see if they're completely dry like the apples. If so, it could be really interesting. Have you jumped on the mystery box bandwagon yet? There are a whole bunch of companies who sell boxes of unknown items to subscribers. Petit Amuse is a company that is doing something similar, but instead of sending you random products, these boxes are all food products. It's kind of hard to review a mystery box because what I got is probably not what you'll get. But here's what was in my box: a single serving bag of Oogies' popcorn, a granola bar from a company called Garuka Bars, and two different cookies from a company called Lark Fine Foods. 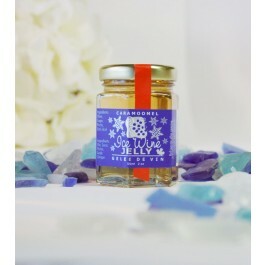 The last item, and one that I thought was most interesting, was a jar of ice wine jelly. Ice wine is a sweet dessert wine that's made from grapes that have been left on the vine long after the normal harvest, until they are frozen. The flavor and sugar content are both very concentrated. I became acquainted with German ice wines (eiswein) quite some time ago. It's expensive. And did I mention that it's sweet? I had some doubt that the jelly would really taste like ice wine - but oh boy, when I opened that jar it had that distinctive ice wine scent. And it tasted like ice wine as well. Pretty impressive. Small jar. Use wisely. I'm thinking it would be a lovely accent for cheese. Or other small bites. Definitely not for your peanut butter sandwich. The idea behind Petit Amuse is that they send you these sample boxes with the hope that you'll come back to their site and stock up on the items you really love. And of course you can buy anything on the site, even if it wasn't in your sample box. That's their idea - but is it a good value? A box costs $10, which includes shipping. So, if you like samples of fancy food stuff, it's a reasonable deal. A much better deal than some I've seen, that's for sure. I can't guarantee that all the boxes will add up like that, but the site owner said they're trying to make the sample boxes worthwhile to folks so they'll find items they love and come back to buy them. So there we go. My tummy's full. Ah, but here's a little preview. I'm working my way through Italian Volcano products. No, not lava rock. These are Italian juices, and I'm almost mad that I tried the limeade because it's so freaking good and now the bottle is empty. It's just sweet enough, but mostly tart and very fresh-lime flavored with hints of the zest flavor. This is the limeade of my dreams, I tell ya. Not that super-sugary candy flavored goop. I'll be back at you with at least one recipe featuring one of the juices. The blood orange juice is an amazing color, and I'm waffling between making something sweet or something savory. Eventually I'll probably make both. Keep your eye out for it.